For any area that requires tractor for maintenance, we can deliver professional lawn mowing services. This would be typical roadsides or a large veld where a normal lawn mower just won't do! If you need to maintain a large area with an established lawn, like a school or office area, we have a large team of skilled workers to do the job quickly and neatly! A home's garden is the first thing people see when visiting you. Therefore it needs to be perfect all the time. 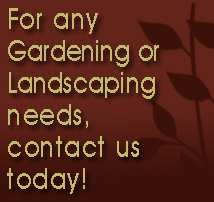 We keep your lawn and flower beds up to standard and looking its best! Copyright Highveld Landscapes. All rights reserved. Internet Marketing by WSI.